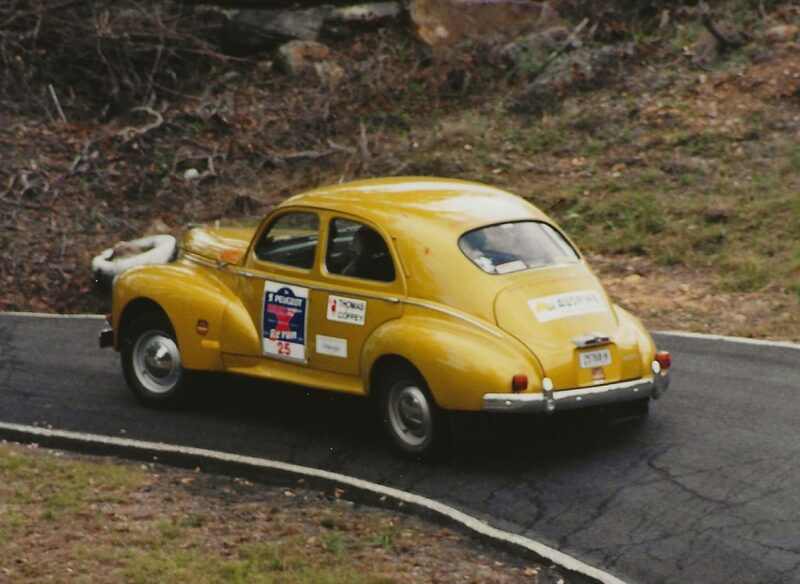 The Peugeot 203 is generally regarded as having been released in 1948. Peugeot had revealed its existence to the press as early as May 1947, but it was not shown publicly until the Paris Motor Show of October 1948. And even then, it was not available until early the next year. Styling for the 203 had been attempted during the war, as early as 1942, but with France occupied, and the factories plundered, the obstacles were insurmountable. The design had to be kept secret lest it be stolen by the Germans, there was no metal around to make it, and there was no factory even if they found the raw materials. Heavily influenced by pre-war American design, progress was made as soon as the war ended, with all specs and designs locked in by 1946. It is reported that French engineers followed the allied troops into neighbouring countries to reclaim their plundered machinery from liberated factories. The government of the day dictated who would make what, and Peugeot was given the task of family sedans, which is what they had planned for anyway. When the 203 arrived, it was a revelation, although it did continue the pre-war style of suicide front doors. It looked long, but was not particularly, being only 4.35m. Weight was a paltry 920kg. Technically advanced for the day, it innovated several things into the French car market. Peugeot did away with the chassis, and made their first monocoque, which was quicker and cheaper to build. The 1.3 litre engine had hemispherical combustion chambers, inclined overhead valves, and centre spark plug, giving it a relatively high specific output. The suspension was independent at the front, and coil at the rear with worm drive, which again was cheaper than front wheel drive. The gearbox was a 4-speed with overdrive top, making it economical. First versions were sedan only, with sunroof, and an excellent turning circle. Post-war production gradually increased, with 19 000 units in 1948 (they were still making the pre-war 202 model), 30 000 in 1949, and 48 000 in 1950. It was then that the model range expanded. Peugeot released the 203 Découvrable, “uncoverable” if you like. It was a 4-door sedan with a complete soft top, which could be rolled back exactly like a sardine tin. As you can imagine, it was significantly dearer than the sedan. Added to this was a continuation of a tradition that continued all along the RWD line, Peugeot released 2 wagons – a “familiale” wagon, with 7 seats, and a “commerciale” which was the load-carrier. Both had a wheelbase extended by about 20cm, and a rear suspension that meant business, in the shape of leaf springs, with 5-stud wheels. Peugeot’s work-horse line-up also included a panel van without side windows, 1.3 or 1.5 tonne capacity, as well as a range of utilities with tray top or canvas cover. There was even an ambulance! From early on, the legendary ruggedness and reliability of this model was demonstrated by a couple of French men, best described as “adventurous”, who drove a 203 commerciale from Cape Town to Paris, via Algeria, a journey of some 15 000 tortuous kilometres. In late 1951, for the 1952 model year, Peugeot released the cabriolet décapotable, in other words, a 2-door soft top. This was followed a year later, with more evolution, not revolution, in the shape of a 203 coupé, ie 2-door hardtop. Curiously, this variation had been designed as early as 1946, and an example had been seen driving the streets of Paris for years prior to its release. To co-incide, the engines received a power boost from 42hp to 45hp. Sadly, this coupé did not sell as well as expected, at a time when all car-makers had a bit of a downturn, and was withdrawn from the catalog not long after. However after several years on the market, the rest of the range had confirmed its reputation with its bulletproof engine, reliability, economy, handling, braking, and equipment. 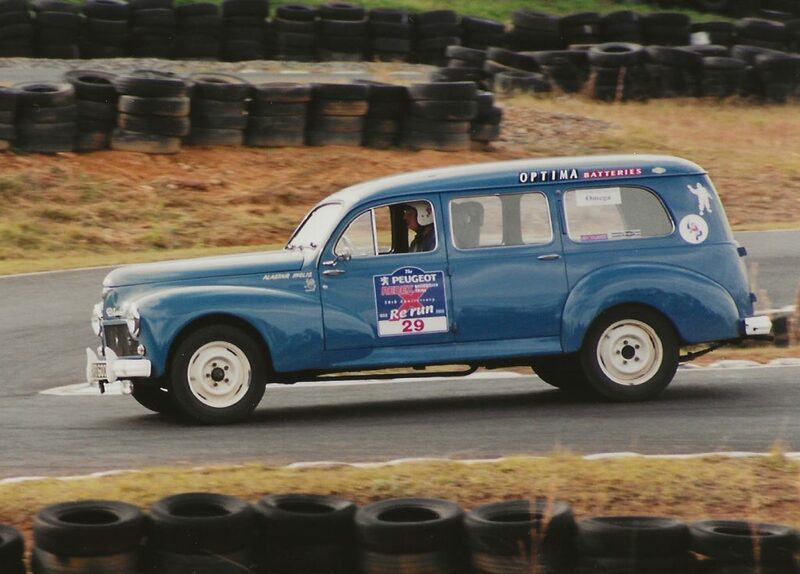 It was at this time, August 1953, that the 203 competed in, and of course won, the Redex Around Australia Reliability Trial – even if it was by a mere 25 seconds. The result kick-started Peugeot’s sales in Australia – all were sold within a week – and introduced the term “horror stretch” into the vernacular. Thought the mid-1950s, the 203 continued unchanged, even after the introduction of the 403 in 1955, as was Peugeot’s wont, to produce concurrent models. The model range shrank a bit, with the deletion of the découvrable and coupé, and then wagons, with all variations being transferred to the newer 403. After more than 500 000 units, the 203 sedan disappeared in early 1960, having a model run of 12 years. Along the way, numerous styling houses and tuning companies weaved their magic, fitting lots of chrome, and a supercharger. The 203 contested the Rally of Monte Carlo, and the modified ones ran in Le Mans. There’s still a lot of good examples in the car club movement in France, and a few left here in Australia.